Aria is Blizzard’s new Ellipsoidal with 180w COB, RGBW, and 200w, 3200K, with a 90 CRI. The body and lens tubes are made out of a composite plastic, making the fixture lightweight. Available in 19°, 26°, 36°, and 50°, the lens tubes are also sold separately to be able to create whatever mixture of degrees you wish. The fixture body is also compatible with ETC S4 Lens Tubes. There is an LCD control panel on the back of the fixture for set up. Power in and out is powerCon and DMX in and out is via 3 pin XLR. 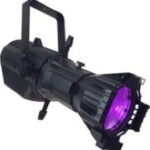 Hypno Beam is a relatively new moving head for Blizzard. I sports a 1x60x RGBW 8° LED as the main source and two rings of 60 RGB SMD5050 LEDs. There is individual control of each ring and the Beam source for a myriad of possibilities for effects. There are dozens of built-in effects to get you started. There is also built in auto/sound active programs. 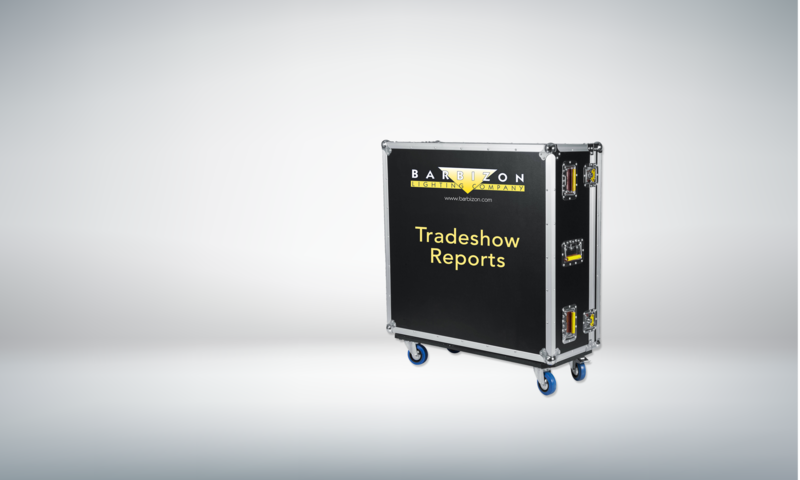 Power is supplied in and out via powerCon connectors, while DMX uses 3pin XLR. Hypno Spot is also relatively new using a 30w white LED, creating a 4.7° spot. There is a 9 color + open color wheel for coloring your effect, and a gobo wheel with 9 gobos + open. It also has two effects rings of 76 RGB SMD5050 LEDs. The main source and the effects rings are controlled separately giving you the maximum control for your effects. Both of there Hypno fixture had a Pan of 540/630° and a tilt of 200°. 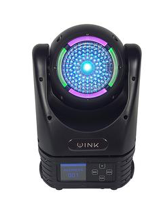 Wink is Blizzard’s new Moving Head Beam FX fixture. 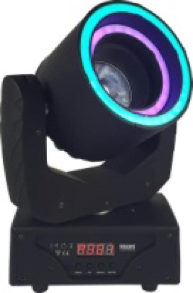 Sporting a 60w RGBW LED with a 5-45° motorized zoom and a ring of 4 RGB5050 LED segments with pixel control. This incredibly fast has an infinite pan and tilt making it fun to watch it spin around. There are dozens of built-in macros. Power in and out is via powerCon and DMX is 3pin XLR. IRIS by Blizzard is Blizzards new Video panel. ETL listed the IRIS R3 is appropriate for indoor use only, permanent or rental. Each panel features a 128×128 resolution with a 3-in-1 SMD2121 blackbody for vivid color. There is a 3.9mm pixel pitch with 1200nits of brightness and 1920HZ refresh rate. Power in and out is via powerCon and data via Ethercon. The panes connect via IRIS’s sophisticated quick lock system, allowing for a curvature of 10° concave and 5° convex maximum. 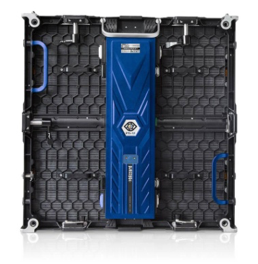 The video panels work with the Novastar® VX4S professional LED display controller, making an external scaler unneeded. Each 250mmx250xx panel weighs less than 17lbs.